The Lifestyle Portal Votes for the Lifestyle Network for the Youth as the Bloggers' Choice for the Most Favorite TV Station! Three giant networks namely ABS-CBN 2, GMA-7, and TV5 were currently battling for the Best TV Station in the country in terms of the TV programming or public service. Their style of serving the audience in different fields seem identical with one another. Viewers can easily get tired if same formats were seen everyday, every night. It's like eating the same kind of food everyday. Therefore many of us were looking for something new, something different, something unusual! Therefore if we would ask to vote for our most favorite TV stations of the year, we will choose for something unique! 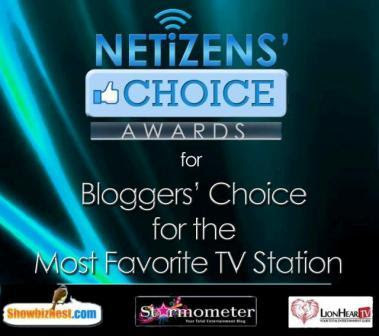 This is the reason why The Lifestyle Portal is voting for Studio 23 as the Netizen's Choice Awards - the Blogger's Choice for the Most Favorite TV Station! It's simply because, Studio 23 is simply different among the rest! Then how is Studio 23 differs from the other TV stations?! Well, we enumerate its uniqueness. 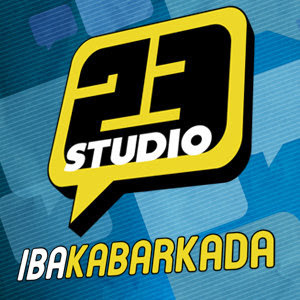 Studio 23 is the only free TV station which targeted the youth or the young audience. Yes, majority of the shows aired in this station were pro-youth! No question why its slogan simply says "Kabarkada Mo" or "Iba Kabarkada!" The program in this TV station which truly gives way to the youth to speak out their voice in different issues and controversies is the "Y Speak." This talk show truly created a worldwide hit. Youth loves music. Just like us, we can't live without music. And we are always thirst to know the latest trends in music, to know the current hits in the billboard chart. That's why we're very thankful that Studio 23 offers MYX, Studio 23's very own music Channel! Aside from these, Studio 23 even opens the other side of the world via its fresh new TV programs from the USA. "Dowson Creek," "Desperate Housewives," "Charm," "24," "Elias," and "Smallville" were some of the foreign hits which capture the hearts of many FIlipinos. 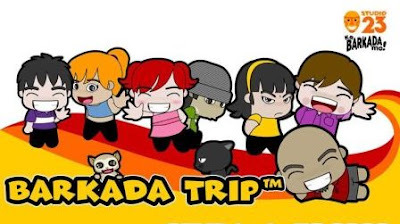 Studio 23 even airs programs that cannot be aired on the ordinary local channel such as spinoffs and supplemental programming for shows aired on the main ABS-CBN network, such as Pinoy Dream Academy and Pinoy Big Brother. Aside from being known as a "youth network," Studio 23 uplifts the way of living. As they say, "sosyal ka kapag naka-Studio 23 ka" since majority of its TV shows were mainly for Class A audience! Cool. With Studio 23, there's no need to avail a cable service to get the 'sosy' type of viewing! And talking of a lifestyle TV station, Studio 23 truly fits its definition! Now you know why Studio 23 is our bet! In one word, Studio 23 speaks a difference! Thanks to the three popular entertainment blogsites namely LionhearTV, Showbiznest, and Starmometer for putting up a huge project like this! With NCA, we can hear the thoughts of the netizens towards the choice of the best TV station! Keep it up!